Hey y'all! 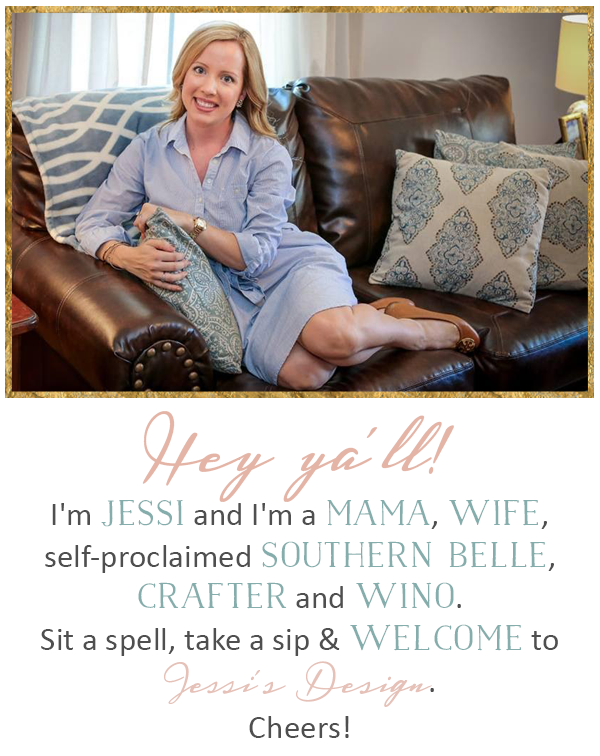 Welcome to What's Hap-'Pinning' Wednesday - a fun linkup hosted by Jenn and little ole' me - join us below and tell us what's happening in your life! Ok so we don't really have an animal house but lately we've been filled with new additions and little pets. Last week my Dad decided to surprise Miss A with her first fish. Now I'm an animal lover through and through but I was not on board with this at first. She was so excited though so of course I said it was fine. (while they were picking out pink accessories for the bowl I was literally about to pay the adoption fee to take home a sweet cat...see? How could I say no to a fish?) Well the fish (Gil - from the Bubble Guppies is his name) is still alive and loving his all pink tank. Andi loves to feed him each evening and says goodnight to him and has added him to her nightly prayers. I must say it really matches the room. 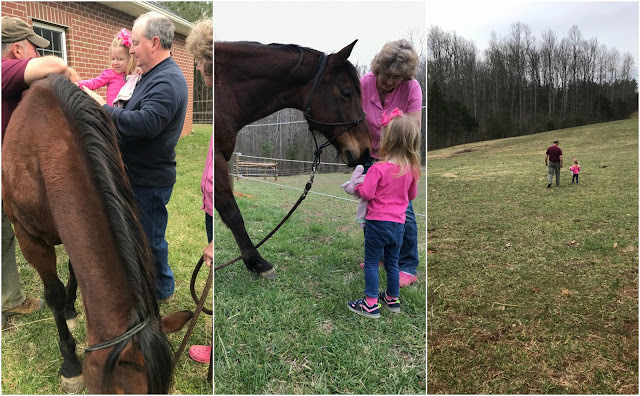 Prayers that Gil has a long and happy life in the land of all things pink! 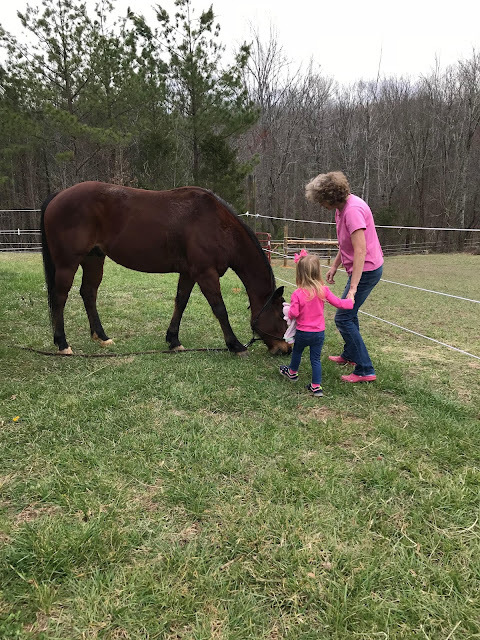 On the larger animal scale, we also introduced her to her first horse. The neighbors beside my parents have one and just fenced in a huge space for him. He's super gentle and we were close to getting Andi to sit on him but she wasn't quite ready. We're going to try again but I didn't want to push it. 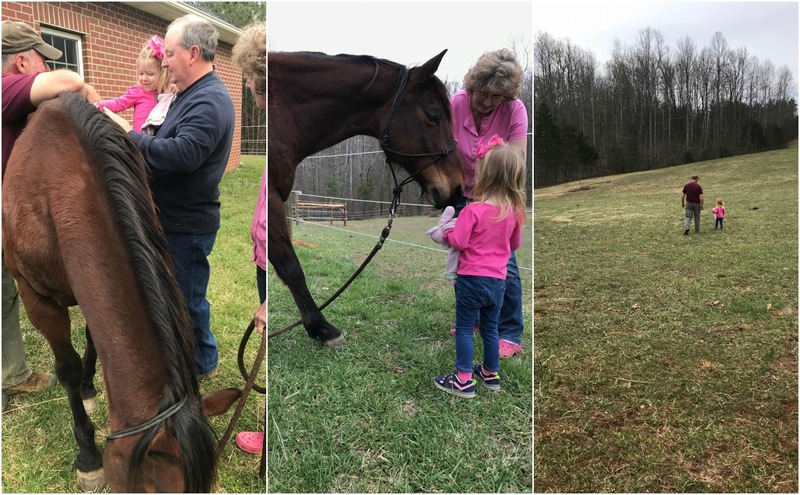 I loved being around the horse and just smelling that 'horse smell' y'all - if you're a horse person then you know what I'm talking about! It made me really miss riding! So with that said, do any of y'all have little ones that ride? What's a good age to maybe do a 4H camp or riding lessons? Let me know your thoughts! Aww I love that she has her own fish! Praying for a long life or at least to finding a replica if it doesn't :) What a gorgeous horse! So fun. Love the land of pink! Oh a fish!! 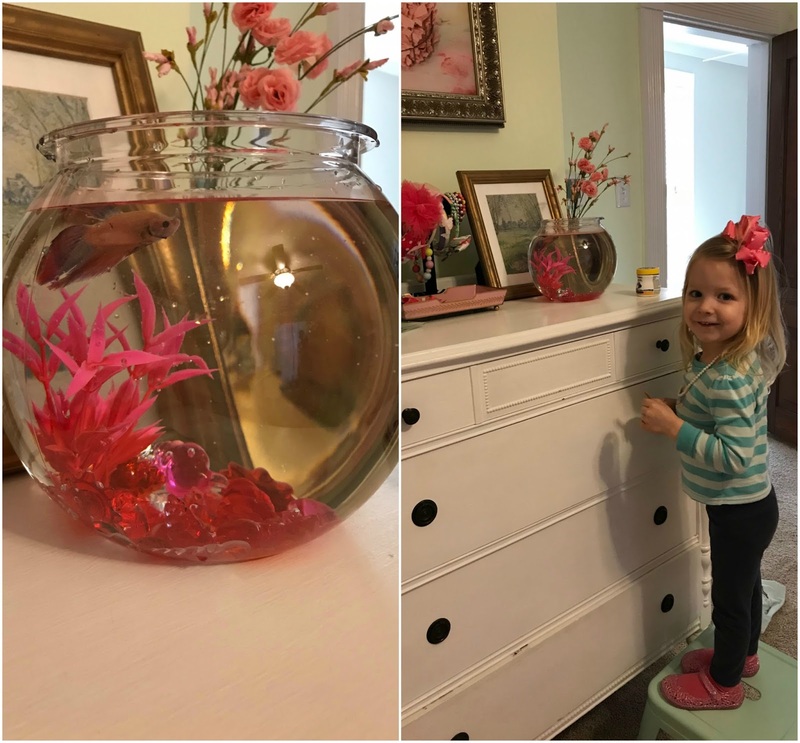 I love how she decorated the fish bowl! Praying for a long life for Mr. Gil. Love all the pink!! That is soo cool that you got her a fish. I love the pink additions to the bowl. Aw, a fish is such a perfect little pet! And I love that it matches her room! I don't think I have seen a cuter fish tank! I love the fishy!!! My boys keep asking me for more pets haha it's a spiral, my friend!